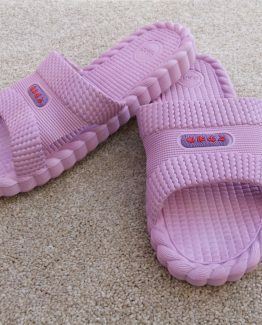 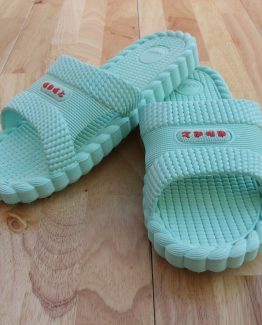 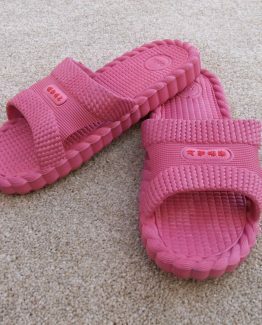 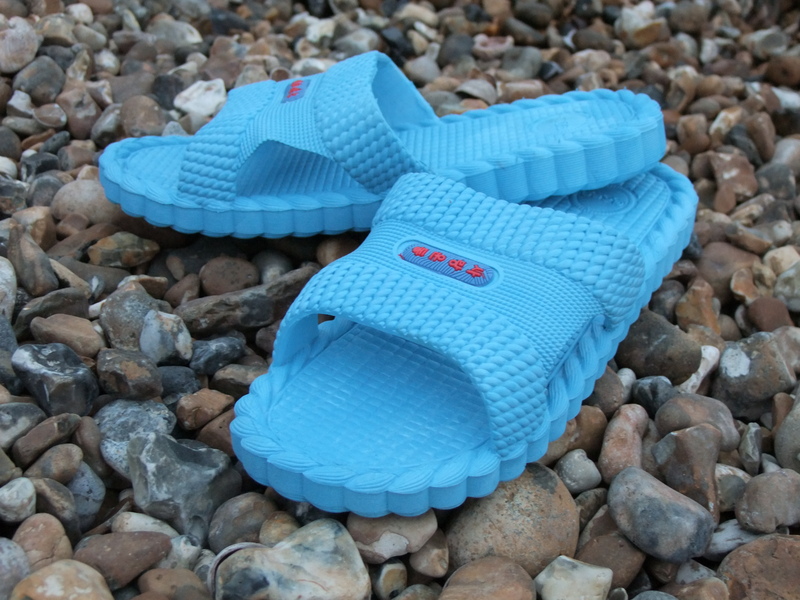 The slippers are made of 100% new PVC with an extra thick soft sole for more comfort when walking. 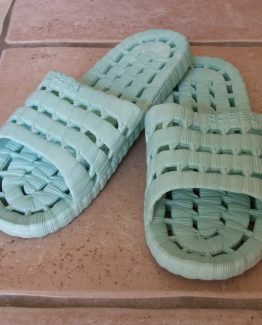 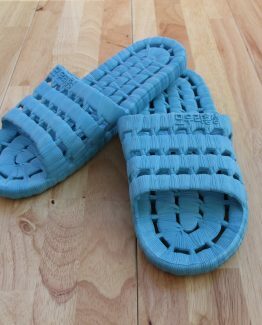 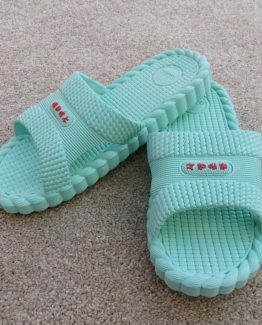 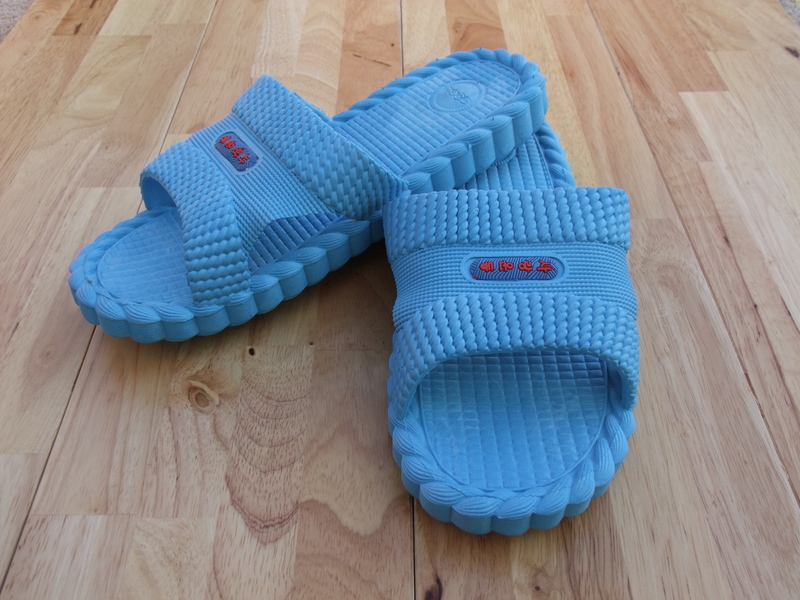 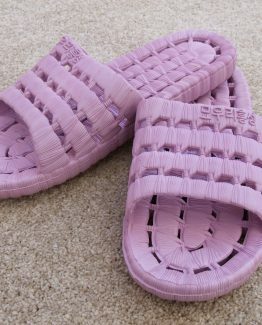 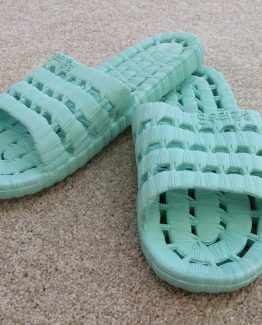 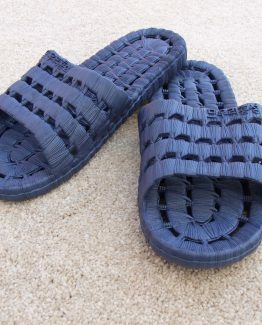 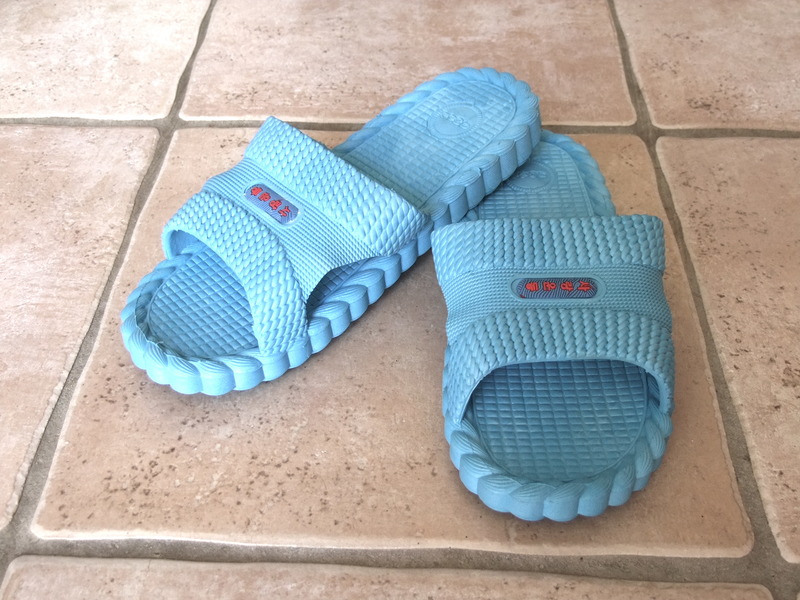 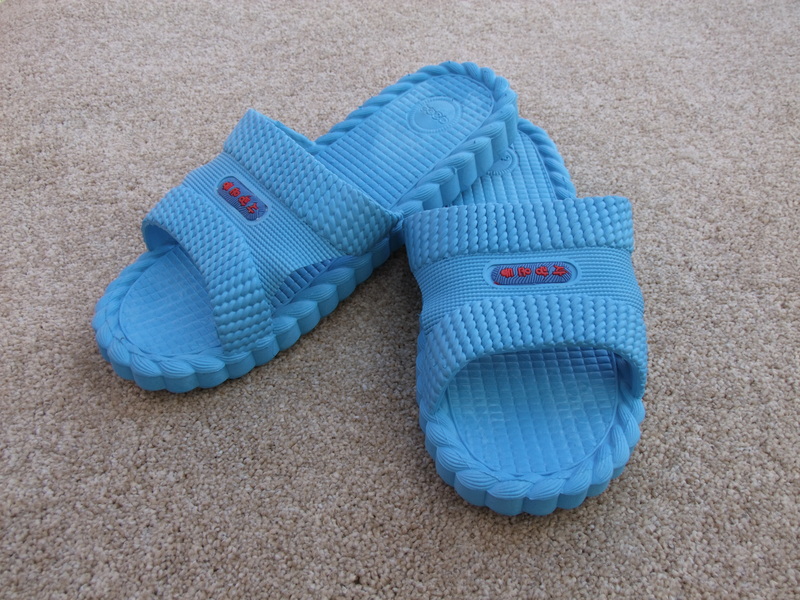 The slippers mould to your feet as you walk on tiles, wood, carpet, concrete floors, stony beach and sandy beach too! 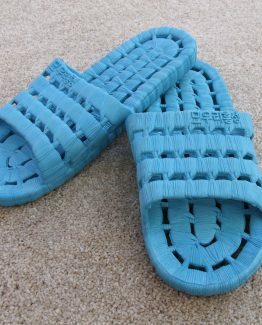 It gives you the flexibility with the movement of your feet. 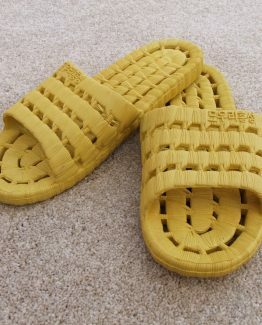 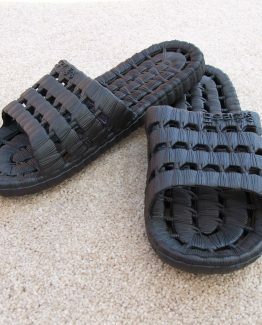 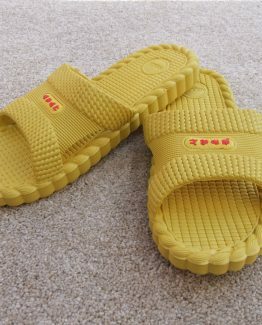 these are not like wearing a soft flat sole slipper. 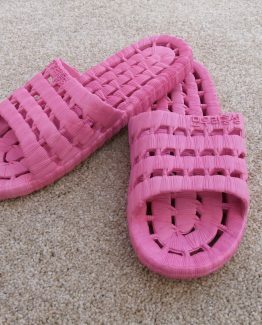 these are the most comfortable slippers that i have ever worn. 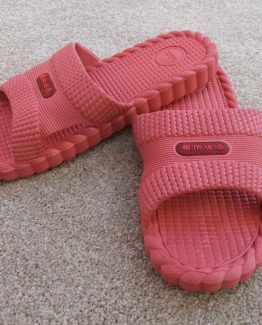 I have now bought several pairs in different colours.